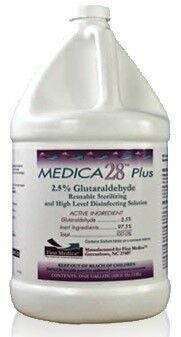 First Medica™ was founded in 1991 by Jeff Drometer who perceived a need for delivering value priced infection control products to the health care industry. Jeff’s vision was to provide value priced consumable products such as gloves, cleaning products and barrier protection to health care professionals while offering choices to the end user. Jeff noted that while consumers wanted good value for their money they also wanted choices. At the time protective apparel typically was offered only in blue or hospital green. First Medica created a line of products in a rainbow of colors with extra features – all the while undercutting market leaders in cost. In the mid 1990’s First Medica introduced the Hilux™ line of halogen curing lights. Very quickly Hilux was recognized as the value leader in the dental marketplace. Hilux lights offered performance levels of lights priced twice as high with solid construction and an industry leading two year warranty. Building on the success of Hilux a Blast™ line of LED curing lights was introduced in 2006. This line has continued to expand with the introduction of the Blast Lite, Mini-Blast, Ultra Blast, ecoBlast II and the latest offering the Slim Blast.